Pick-a-Woo Woo's new book, Guardians of Earth, is going green with Eco-Libris! We are happy to announce a new collaboration with our partner, the Australian publishers Pick-a-Woo Woo, on a great new green children's book that was just released: Guardians of Earth: Adventures in Wild & Wonderful Places. 100 trees will be planted with Eco-Libris for this book. As you can see in the picture above, our logo is also added to the book's cover. Esther Mills was born in Cape Town, South Africa. 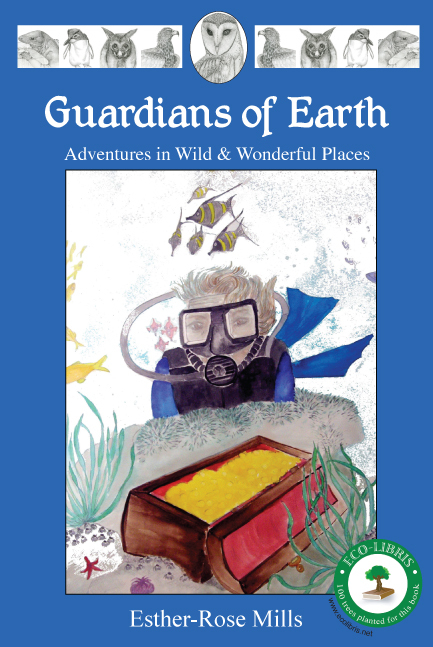 Her love for conservation and art are combined in 'Adventures in Wild and Wonderful Places', the first book in the 'Guardians of the Earth' series. Inspired by life in the Fitzgerald River National Park; where her husband Stephen worked as a national park ranger; and the curiosity of her three young sons, Esther is commited to reconnecting children with nature and the importance of sustainable living. The Mills family currently reside in the garden village of Nannup, Western Australia. Copies of the book are available for purchase on MBS Press website.